Indian Ladder Farms is a much beloved place in our community. Few people I know haven’t picked the farm’s apples in fall, brought their kids to pet baby animals as a rite of spring, or eaten their share of cider donuts over the years. We’ve watched outdoor community theatre under the backdrop of orchard and escarpment, picked out our Christmas trees in winter, and frequented the farm’s gift shop for birthdays and special occasions. Indian Ladder Farms has been in operation since 1915 and it is treasured by generations. Why I’ve never thought to sketch there escapes me. Maybe it’s that I’m always there for some other purpose, or maybe it’s that I like going when it’s raining and quiet. That changed this week, when I went to Indian Ladder twice—and solely for artistic purposes. 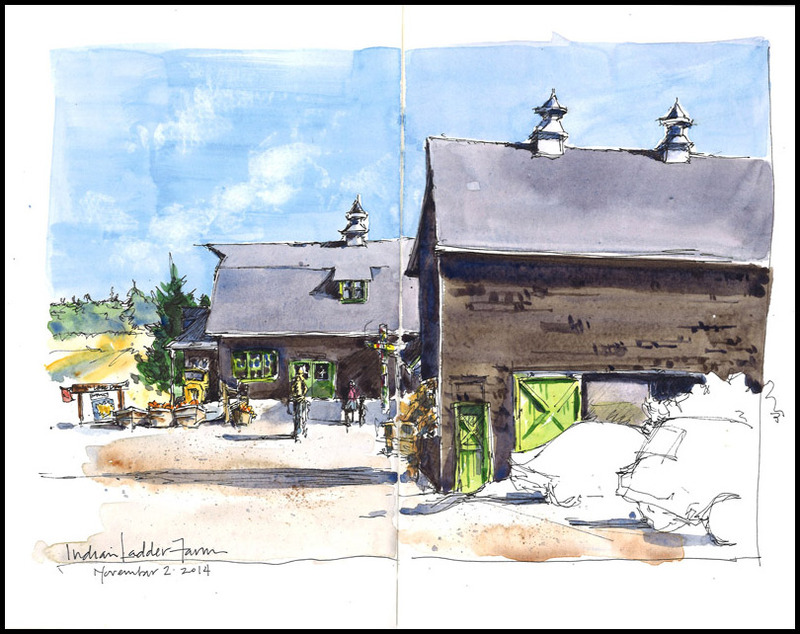 Here are the results of what I hope are many more sketching excursions at the farm. 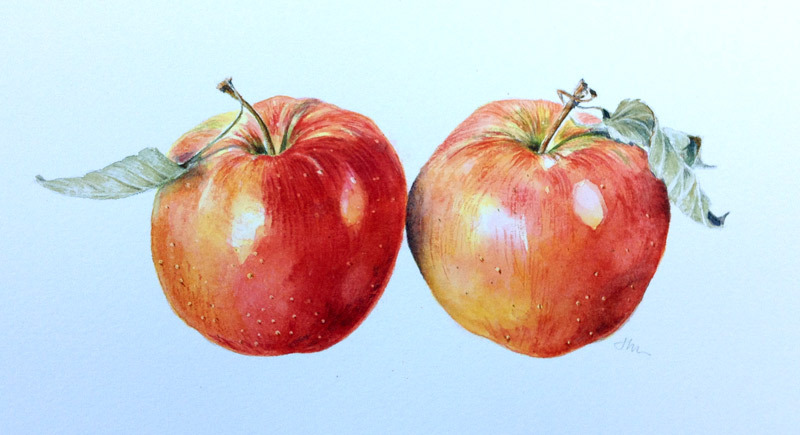 More barns, apples, vistas, and maybe a donut or two are in store. I wanted practice with perspective and Indian Ladder’s main barns proved a worthy challenge. 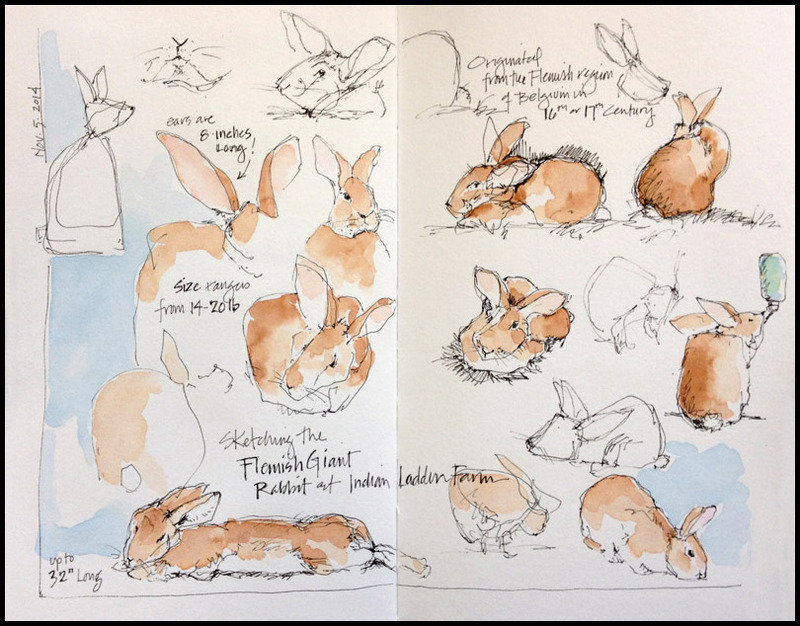 On my second trip, I focused on the farm’s Flemish giant rabbit. The Flemish giant is a massive breed by any measure, standing about 2 1/2 feet tall, which it does, on occasion, when not bounding around its cage, grooming itself or nibbling at children’s handouts. This was my first time drawing a rabbit and you can see some improvement from left side to right.